If the 100-degree temps didn't give it away, it's the peak of summer right now. And while we love swimming, biking, and playing outside, sometimes the activity that's most tempting is retreating into the air-conditioned house with a good book. One of the first things my boys and I did this summer was sign up for our local summer reading programs. Did you sign up your kids, too? Reading is always fun (of course! ), but reading for prizes? Even better. 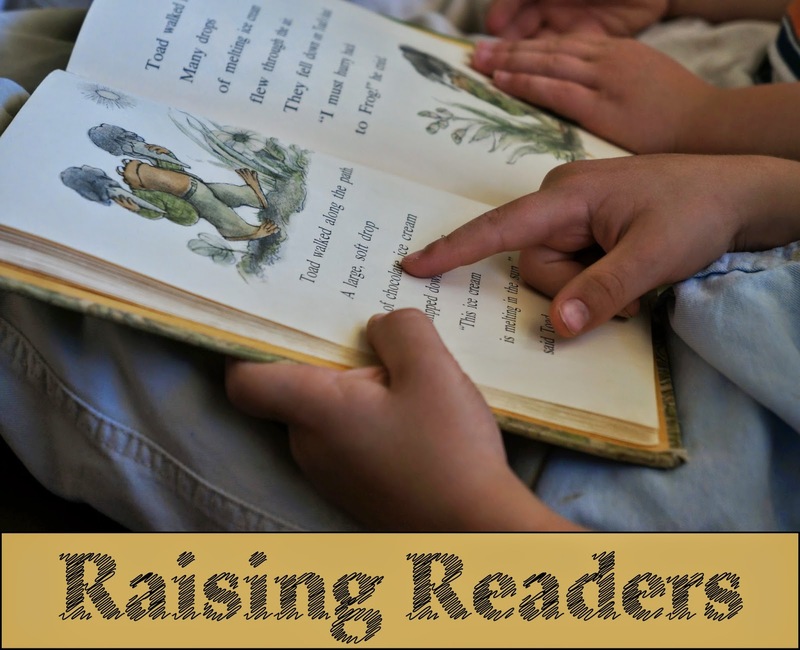 In this post, I want to share some details from our current experience and also hear about how the summer reading program goes down in your neck of the woods.
. . . can I tell you about the summer reading program when I was a little girl? Because really, it was awesome. On the first possible day, my siblings and I biked over to get signed up. Our library only had one librarian, Jan, and she gave us our reading logs. For every two hours of reading we did, we got one prize. That's it. Simple, right? So if we read four hours in one day (which we often did), that translated to two prizes. Prizes consisted of things like candy bars, juice boxes, Little Debbies, cans of soda, little plastic toys, bookmarks, etc. Jan displayed all the prizes on the shelves by her desk. We could choose whatever we wanted. We usually cashed in on our prizes once a week, and let me tell you, we made bank. We came home loaded with a year's supply of sugar--much to my mom's dismay. All summer, we carried around our timers so we could keep track (to the exact minute) of all the time we accumulated. We recorded our time in my mom's planner and then added it all up at the end of the week so she could sign off the appropriate number of lines on our reading logs. My sons' experiences with the summer reading program are very different from my own. It's still fun for them, no question, but they are not motivated to read a lot, just consistently. We signed up for two programs since we live in an area with two different library systems. At one library, the boys have to read 20 minutes each day. At the end of seven days, they get a designated prize (for example, the first prize this year was a little prism spy glass). At our other library, they're also supposed to do a certain amount of reading each day (the parents and child can decide on an appropriate amount). There's one prize for each month, and they can pick it up at any time during the month (in other words, they don't have to reach a certain place on their chart in order to claim their monthly prize, as long as it's all filled in by August). As you can imagine, for kids who are already consistently reading every day, this does little to motivate them. They can just do what they've always done with the added bonus of a little prize. At the beginning of the summer, Aaron was all gung ho about reading. He read his first 20 minutes, colored in the first little bottle on his chart and then exclaimed, "I'm going to read some more!" I had to tell him that that was great but that he wouldn't be able to color in another little bottle until the next day, even if he read another 20 or 40 or 60 minutes. "Oh," he said, deflated, "I guess I'll go outside instead." Let me be perfectly clear: I am not criticizing our summer reading programs at all. They have a limited budget with thousands of kids participating. Of course they have to have some limits and boundaries. (I don't know how many participated in my little town when I was a kid, but I'm guessing it was only a couple hundred). Summer reading programs are great for reluctant and avid readers alike, which is why I'm talking about it as part of my Raising Readers series. I just wish there was a way to encourage the already well-established readers to read more. Which is why I'm now turning this discussion to you. Tell me, how does the summer reading program work in your area? Our libraries both participate in the Collaborative Summer Library Program (CSLP), which I'm sure many of your libraries also do. But even with the common theme, every library utilizes it in a different way and uses different prizes and incentives. How does your library do it? Or do any of you scrap the library's program and do your own at home? Please share! As you can imagine in a program as big as NYC or Brooklyn there are no prizes. The kids do a sort of game board with stickers and along the way learn about how to build a robot, creating their own in various steps. When the "kickoff" party happens, they do get small tokens, like a pencil, bookmark, etc. Erica, I'm intrigued. I'd love to hear more about it on your blog and see a picture of the game board. My oldest loves charts of any kind, so I know he would be motivated by checking things off alone without the prizes. I guess I could rig up something on my own, but they also love going to the library and having the librarian stamp their little booklets. In Provo when we sign up we get some coupons to restaurants (ice cream at mcdonalds, etc). 1/2 way through you get a small plastic toy or bookmark. At the end you get to go to the veteran's memorial pool from 8-10 pm (late!) And get a book. You set your own # mins & you can read ahead, I believe. The governor does one where you can go to the state fair for free if you read 20 mins/day. Does their school do a reading program during the school year? I'd be curious to see a a blog post abt that too. That is super late for the pool! I saw the governor one, but I wasn't very interested in going to the state fair, so I didn't tell my kids about it. :-) Aaron just finished kindergarten, and his teacher did do a little reading program during the year: at the end of every month, they got a prize if they had read an average of 15 minutes/day, 5 days/week for the month. They also had a reading week for the whole school where they all logged their minutes, and the student from each grade with the most minutes got a prize. That was highly motivating for Aaron. I'm curious to see what first grade will be like. We signed up at our new library a month ago. The program is also called, Fizz, boom, read. You make accounts online and each kid can choose a robot cartoon character on their accounts. To input how much we've read we put in how many minutes(you can only do a max of 60 in one upload), the name of the book and author. You get one point for every minute read. After 1000 points you get a free book. On the computer you also get badges for every level higher you get. This is not only for the kids. Jordan and I are reading like crazy this summer. The homepage has the high score readers and their numbers are 20,000 and higher. That sounds awesome. I love that they show the high scores on the home page. Can they keep earning books or does that stop after the first 1000? My kids would love something like this! Jaxon has been motivated by the reading program. He asks me to put in the computer how much he's read. He just finished 1st grade and his teacher sent home a paper with a calendar on it every month starting in October and they could fill in the day's square if they read 20 minutes a day. If they got every month they got a pizza party in May. Jaxon hates pizza so he didn't care about reading everyday. Having a baby during all that, I didn't push it so sadly he didn't read as much as he should have. I'm just happy we're reading lots this summer. That sounds a lot like Aaron's school program except that they didn't do an end-of-the-year prize, just a little monthly one. Our library system used the same theme, but each child is allowed to set their own goal for how many books they read in the allotted time. We keep track of each title on their reading logs, then turn the logs in during the prize period for a free book and lots of coupons for free meals and sports events. I think it's nice to be able to set your own goal since parents know what will (or will not) challenge their kids. Thanks for telling about your library! Our library does hours or books, depending on the child's age. There are four prizes (four main levels) and after that the child is entered into a drawing for a larger prize. What happened to us this year is my oldest (12) is a student volunteer at the library, which means my other children are ineligible for the drawing (since someone in our family "works" at the library). They finished the hours for the first 4 prizes in less than a month and that was that. Still kind of frustrated with that. My (homeschooled) kids read every day for fun, but there's certainly no challenge for them here. I loved the one in Longmont. They had a chart with two parts, 15 numbers each part. Depending on the kid the numbers could represent books or hours read. Halfway through the summer you could redeem the first part, or any time after that. Then you could redeem part two at the end of the program. There were amusement park coupons, restraint coupons, sometimes a cheap little prize and one or two free books. We loved the amusement park coupon and when we took our kids there we could tell them that it was because they had done a good job reading. In Sterling, you filled out pictures for every ten or twenty minutes read. You could go pretty far and each tier of pictures had a designated shelf of prizes. You also got a raffle ticket for the grand prizes each tier you finished but that meant nothing to me as I never count on winning raffles. And the prizes always broke the same day. What I disliked the most was they said it only counted if you read books checked out from the library. No where we live they have a month of weekly activities where you come during a certain time, read a book, do a craft, and one other activity and get a small little prize at the end. They ask about how much you read that week, but there is no incentive to read anything more than the book at the library. The kids like the crafts and activities and sometimes the prizes are nicer than others, but it really isn't about getting them to read more. I don't mind, though, because I don't like clocking hours read much. I feel like it makes reading a chore and I want them to read for the love of reading not because they need to check it off. But then my oldest is such a voracious reader, it hasn't been an issue for him. My second oldest could maybe use a little more incentive. I can't wait to take Henry and Norah to the library to check out books! My tiny town (3,000 people) had a summer reading program, but it wasn't much, so I don't have any suggestions. You might be able to do a better one at home if your boys aren't challenged enough. There might even be printables online.